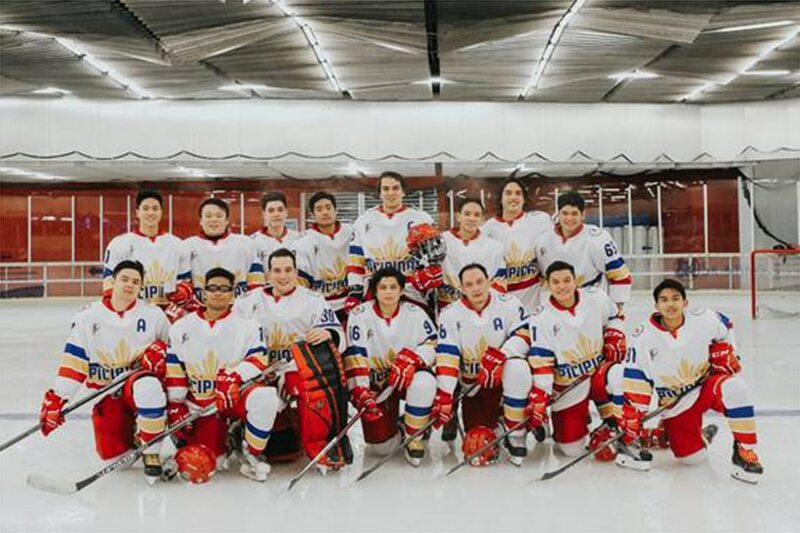 The Philippine ice hockey team hopes to make the country proud when it competes in the 2018 Challenge Cup of Asia next week. The Philippines will host the Challenge Cup of Asia on April 3-8, with all games to be held at the SM Skating Rink at the Mall of Asia in Pasay City. This is the first time that the country will sponsor the annual international ice hockey tournament that is sanctioned by the International Ice Hockey Federation (IIHF). “We are very proud and excited to host, for the first time, the IIHF Challenge Cup of Asia which has been held in different countries since it was founded in 2008,” said Chris Sy, the president of the Federation of Ice Hockey Philippines. This also marks the first time that the Philippines will compete in the men’s top division of the annual tournament, along with some of the best ice hockey teams in the region. Riding the momentum of its gold-medal finish in the 2017 Southeast Asian Games, the Philippine ice hockey team is eyeing a podium finish in the five-nation tournament. They play Thailand on April 3, Kuwait on April 5, Mongolia on April 6, and Singapore on April 8. All of the Philippine team’s games are scheduled at 7 p.m.
Other Challenge Cup of Asia games will feature Singapore vs Mongolia on April 3 (3:30 p.m.), Mongolia vs Kuwait on April 4 (7 p.m.), Thailand vs Singapore on April 5 (3:30 p.m.), Mongolia vs Thailand on April 7 (3:30 p.m.), Kuwait vs Singapore on April 7 (7 p.m.), and Kuwait vs Thailand on Aril 8 (3:30 p.m.).